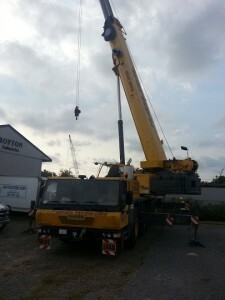 A truck crane is a machine that can be used for various purposes. It typically used to lift and relocate heavy objects around a job site. Just like with other cranes, there are risks to operating a truck crane. In some cases, accidents occur due to blind spots. Not to be a substitute for smart crane operating habits, HoistCam truck crane camera system is designed to eliminate those blind spots to help reduce accidents, and provide the operator with better information. 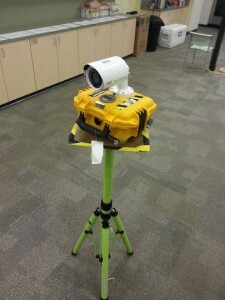 HoistCam is a camera that can be installed anywhere on the construction site (as a SiteCam) and directly onto crane (as a HoistCam). The transport case, which is about the size of a suitcase, keeps the HoistCam safe, as well as making it easy to relocate with the equipment. Within seconds, HoistCam can be installed on the hook block, boom tip, jib, or the back side of the crane. A crane operator would then be able to lift the weight safer and more efficiently, having a direct view of the load with HoistCam. 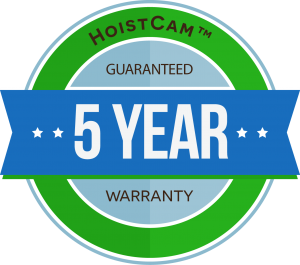 The remotely enabled interface of HoistCam Director facilitates viewing HoistCam and lifting operations remotely. Operations or managers can remotely track and view their operations from any PC. In addition, multiple HoistCams can be used and viewed in a dual or quad split screen monitor to have multiple views at the same time in the operator’s cab.